Australians are an unpretentious mob and shooing flies is about as complicated as it gets when dealing with life's distractions. 'Work hard but take time to savor each day' is the national ethos - an honest approach to life that is reflected in our wines. Our wines are crafted from hand-selected vineyard sites that are rich in character and demonstrate true varietal pedigree. These are wines that show Australia at its best. Shoofly was founded in 2003 and our winemaking team is led by one of Australia's best – Ben Riggs. As a native of McLaren Vale, he has been crafting some of the region's finest for more than two decades. His vision is clear: no flabby wines, no raisins and leave the oak for the trees! The team brings decades of winemaking and tasting experience to the table, so they've figured out how to make a wine that will drink well to the last drop. These are fleshy, balanced wines bursting with vibrant, delicious fruit. The Barossa Valley boasts some of the oldest vines in the world, and the wines show it – Riggs makes wildly concentrated Shiraz and Grenache from here. McLaren Vale's temperate maritime climate offers reds of rich, ripe fruit character and great acid balance. Langhorne Creek, a "cool desert" situated on South Australia's Fleurieu Peninsula, produces soft, fruit-driven wines, with Shiraz, Grenache, Viognier and Verdelho all performing admirably. Seductive Pinot Noir from Yarra Valley, the oldest wine producing region in Victoria, has achieved more with this difficult variety than any other wine region in Australia. 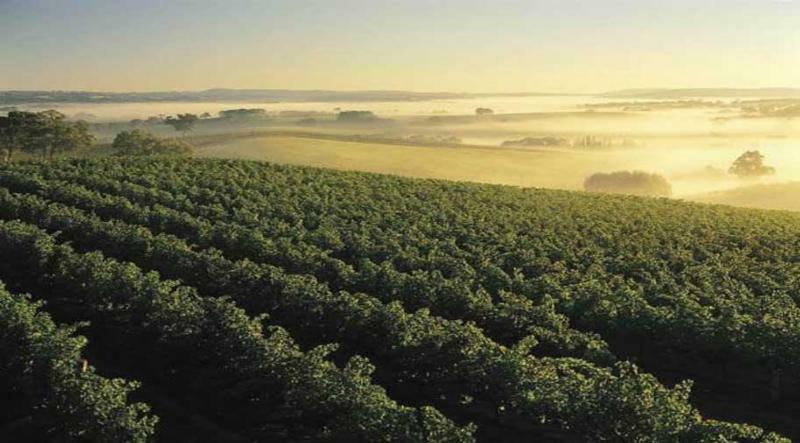 And the Adelaide Hills' rolling vineyards, perched high up in the Mount Lofty Ranges, enjoy a cool-climate perfect for zippy Sauvignon Blanc and crisp Chardonnay. Robert Parker 86"The 2006 Aussie Salute is composed of 70% Shiraz, 25% Grenache, and 5% Viognier. Dark ruby-colored, it delivers a straightforward perfume of blue and black fruits. With good depth and length, this solid value can be enjoyed over the next 2-3 years."